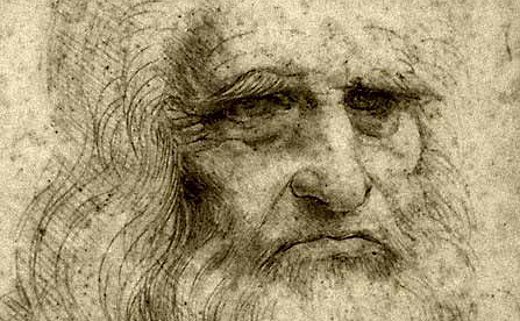 Of all the great exemplars, none was greater than Leonardo da Vinci. One of history’s most prestigious mentors, da Vinci left a legacy that inspires, excites and motivates up until today. Modern science posits that human intelligence is not a singular phenomenon. Popular belief is that intelligence is set at birth even though genes account for less than half and it’s understood that function of prenatal care, environment and education make up the lion’s share. Another common belief is that verbal and mathematical reasoning skills measured by SATs and IQ tests are the sine qua nons of intelligence. So what are the seven intelligences? While there are many geniuses who we identify with particular items on the above list, Leonardo da Vinci had mastered them all. Curiosità – An insatiable curious approach to life and an unrelenting quest for continued learning. Dimostrazione – A commitment to test knowledge thought experience, persistence, and a willingness to learn from mistakes. Sensazione – The continual refinement of the senses, especially sight, as the means to enliven experience. Sfumato – Literally “Going up in smoke” – A willingness to embrace ambiguity, paradox, and uncertainty. Arte/Scienza – The development of the balance between science and art, logic and imagination. “Whole-brain” thinking. Corporalita – The cultivation of grace, ambidexterity, fitness, and poise. Connessione – A recognition of and appreciation for the interconnected ness of all things and phenomena. Systems thinking. Hopefully, many of these do not seem foreign to you. They should seem like common sense. You possess all of these. The key is to develop each one every day. What are some habits you need to work on? What are some that you excel at? What do you need to do to be more intelligent? Proud to announce my award winners!